For the birth of our fourth child, I couldn’t have asked for a better team! I was able to labor the way I wanted, and the OB team made everything flow smoothly. I love that my family physician, Dr. Erik Bostrom, really takes the time to get to know his patients and families. He genuinely cares and it shows. He not only showed his care and respect for myself, but also my three boys, ages 2, 5 and 8. During my entire pregnancy, any concern that I brought up was addressed thoroughly. 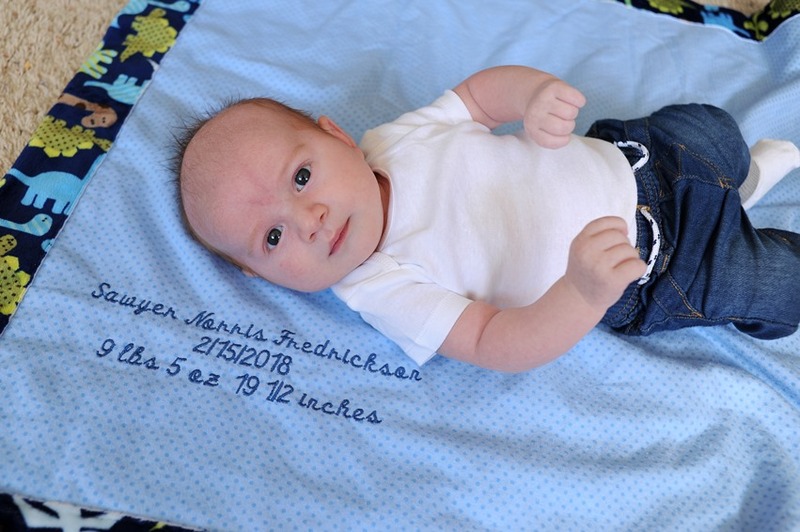 Dr. Bostrom sewed a beautiful fleece blanket for my baby. How cool is that! Dr. Bostrom makes it clear that his OB and pediatric patients are his priority. If I have a concern and need to be seen in the clinic, he has assured me that he will make the time to help. 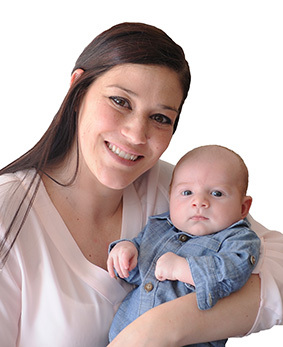 The breastfeeding expertise at a Baby Friendly Hospital like Riverwood is so valuable. I had issues breastfeeding my last child due to tongue tie and lip tie. With my newborn, Sawyer, the OB nurses listened to my concerns and were helpful, giving me information so I wouldn’t have the same problems as I did before. I also enjoyed having the nurses give me at least an hour of skin-to-skin contact with my baby right after I delivered. Another thing that made my latest birthing experience great was Riverwood’s beautiful birthing center. The generous size of the birthing suite is perfect for a big family like mine. There is plenty of room to visit without feeling crowded or overwhelmed. I’ve never been disappointed with the care I have received at Riverwood. What I appreciate most is that the staff really makes you feel like family. They go the extra mile to follow up and invite you to call anytime with questions.